Laura(8016) Chesterfield lounge in Full Grain Italian leather . 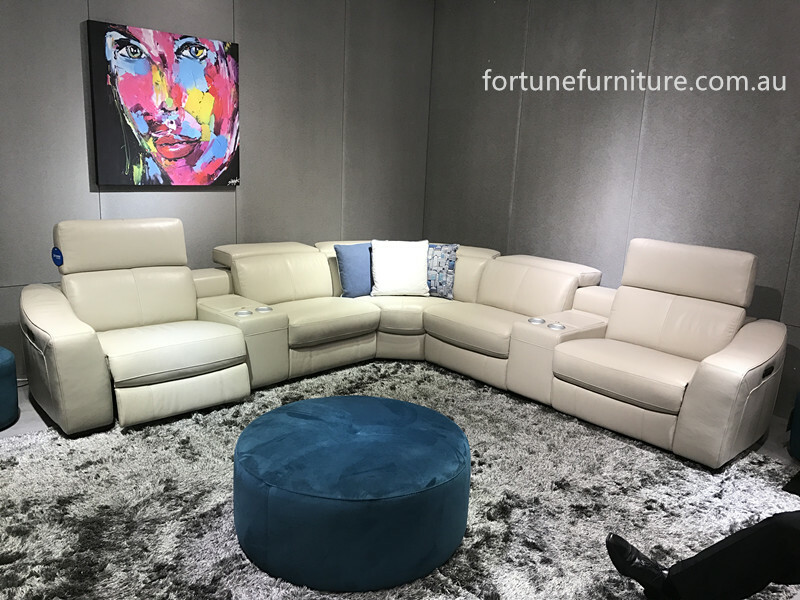 A statement-maker in any setting, this modern design Roma lounge is showcased in supple, full-grain,aniline leather that will develop a rich, natural shine with age. Generously scaled to accommodate a settle-in and stretch-out level of lounging, this sofa’s high density foam seating is supported on spring suspension for unrivaled support. 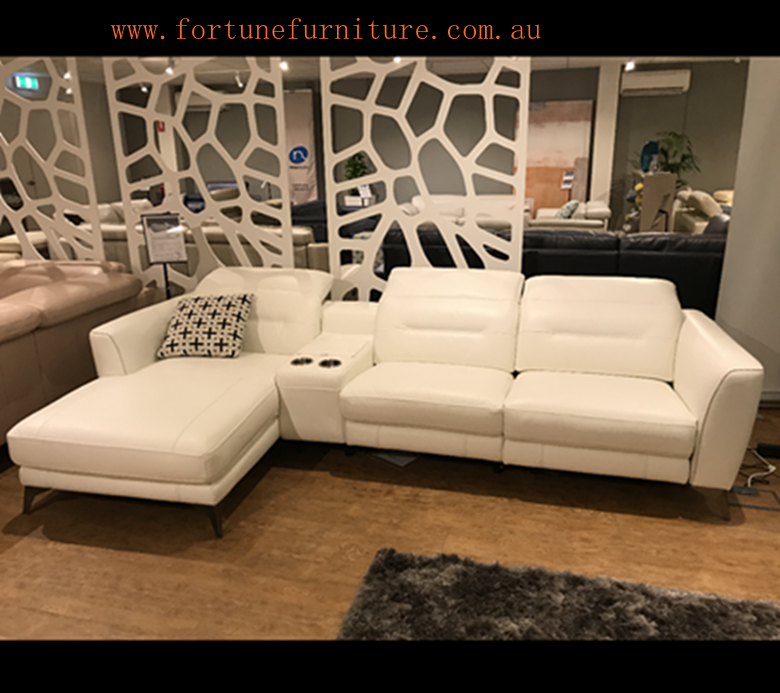 Features: Carefully wrapped with genuine 1.5mm full grain Italian leather, beautiful leather colour combination and modern stainless steel legs to enhance the sophistication. Berry will offer you premium comfort with versatile design. Description: Alison is a perfect L-shape Italian leather lounge. it is comfortable and modern. It has thick cushioning back and adjustable headrest that makes you feel relaxing. It is carefully wrapped with (1.5mm) full grain Italian leather and very strong structure. 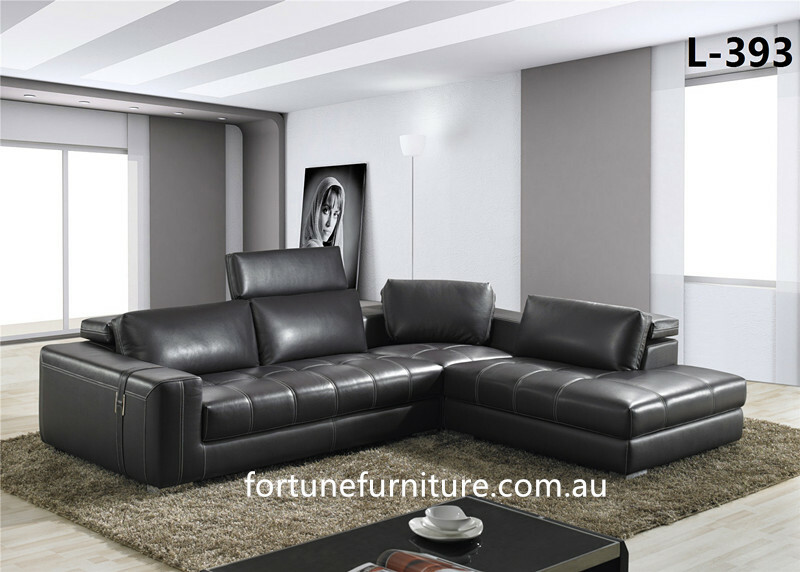 If comfort is important to you, then you can’t go past the Stella B5023 Italian leather lounge. This is 2 seater with chaise, 1 electric recliner on end and cup holder This is technically engineered for long-lasting support and superior comfort, this sofa range is perfect for a daytime snooze or laying back and watching your favourite movie with the whole family. 100% full grain Italian leather thickness (1.6mm) everywhere. stocks available in pearl blue colour. 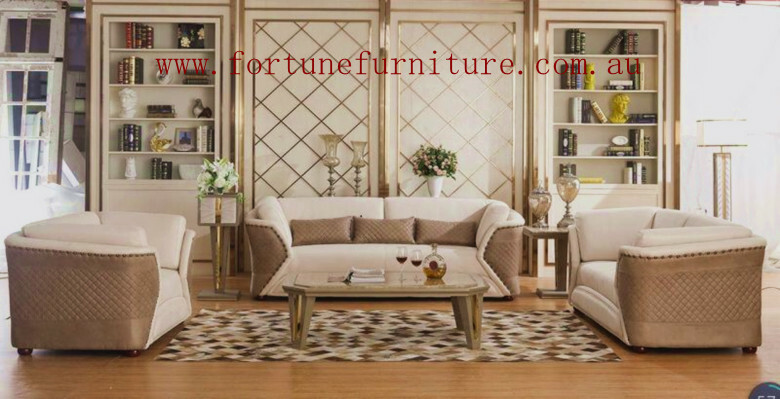 Description : Irene our classical fabric sofa offers a statement design built for formal living room.The Irene 2 Piece Fabric Lounge Suite offers plush, luxurious comfort and sturdy, combined with a natural elegance in style that makes a striking addition to any room. Description : Recreate the look of an English manor in your home with the traditional charm of the Laura full grain Italian leather (1.5mm) thickness chesterfield set. 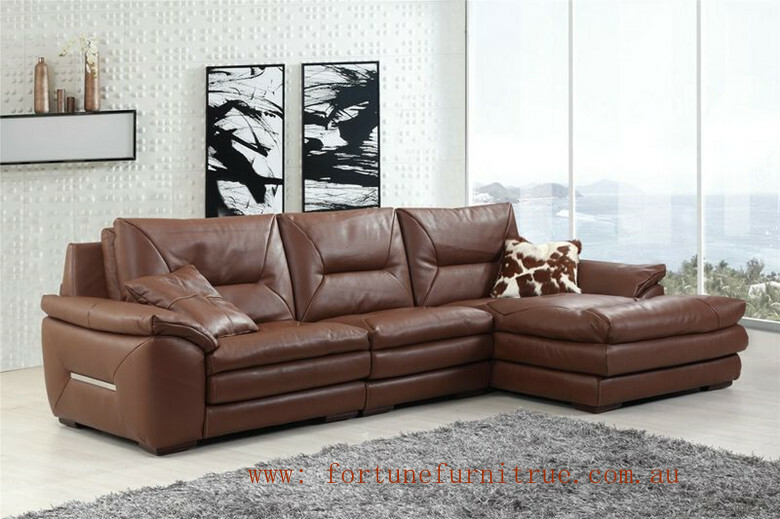 It features magnificent details like leather button-back upholstery and a studded trim, making it perfect as a central piece for your lounge. 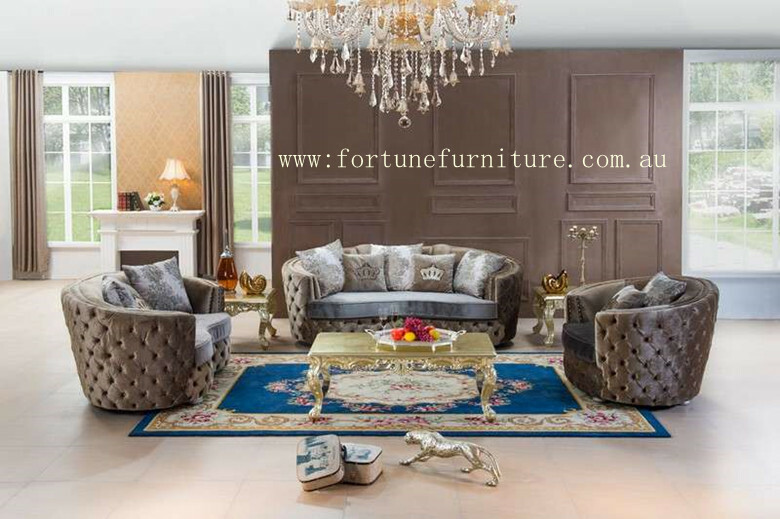 Description : Martina our classical fabric velvet sofa offers a statement design built for formal living room. It is crafted from Italian with a diamond -tufted / button tufted design, the martina contemporises an old world piece with angled tapered timber legs for a modern edge. 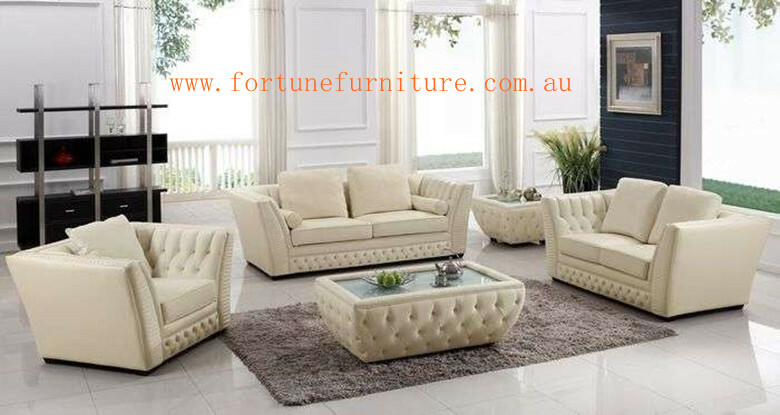 Description: The Emily Leather Lounge Suite offers plush, luxurious comfort and sturdy, resilient design combined with a natural elegance in style that makes a striking addition to any room.The studs and stitching design make it more elegant.The Emily coffee table is included in this package to complete your lounge room set. 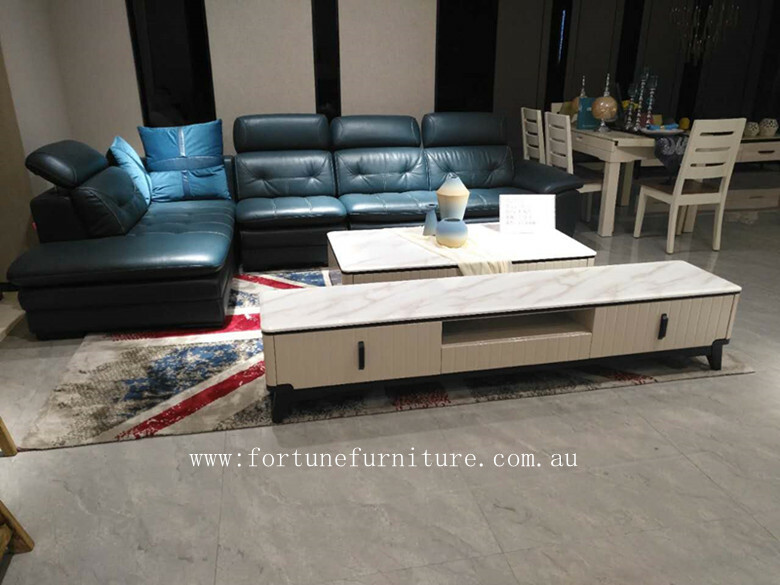 Description: This audrey 3+2 suite is a classical Sofa Set that will give you comfort. Audrey is made by strong wood structure and with Fabric Material which called suede. The studs and stitching design make it more elegant. Audrey comes in 2 tone finish . 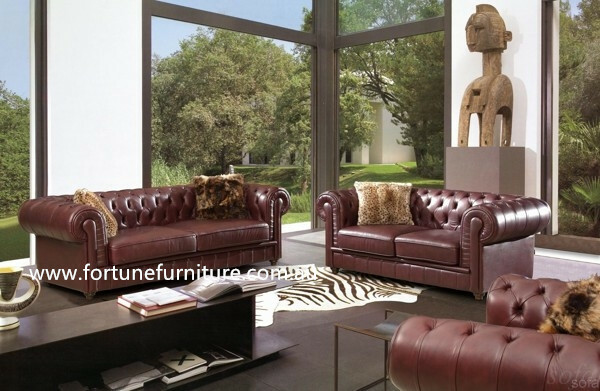 Description: Allysa (L-393) is a spacious Italian leather sectional sofa. 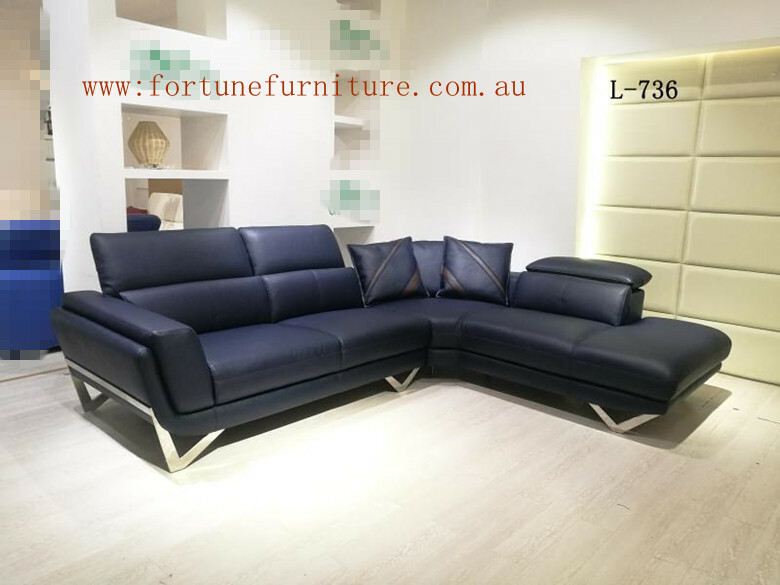 Stainless steel frame and design Upholstered in luxurious Full grain Italian leather Accentuating stainless steel design, the stitching and belt design make it more sophisticated (can be ordered in different colors 8-12 weeks) Solid hardwood frame construction. Size: Please refer to the photo with size. Description: Rina is characterised by its modern, linear bold design. Comfort is ensured by the generous armrest , She features the adjustable electric headrest and comfortable electric recliners on both end, She looks not only comfortable but deluxe as well.